Dental crowns are caps in the shape of a tooth that are placed over your natural teeth to restore and protect them. When a dental crown has been cemented into place, the visible portion of the tooth will be fully encased by the crown. In this way, dental caps are an excellent cosmetic and restorative dentistry option that can help improve the appearance, size, strength, and shape of the teeth they are placed on. The materials used in dental crowns range from metal to porcelain. We recommend porcelain due to its resilience and tooth-colored aesthetics. To prepare a tooth for a crown, a thorough examination of the tooth will be performed. After that, the area will be numbed and then the tooth will be reduced slightly to make room for the crown that will go over it. Once it has been modified to fit the dental crown, the dentist will take a mold of the tooth and then ensure that a dental crown with a perfect fit is created. Once the dental crown is ready, it can be placed in your mouth with one easy procedure. Make cosmetic modifications to your teeth. Cover and protect a dental implant. Cover teeth that are severely discolored or misshapen. Keep dental bridges in place. Cover and support teeth that have large fillings. Restore any tooth that is worn down or broken. If you’re on the hunt for cosmetic dentistry in the Orlando area, look no further than Dynamic Smile Design. 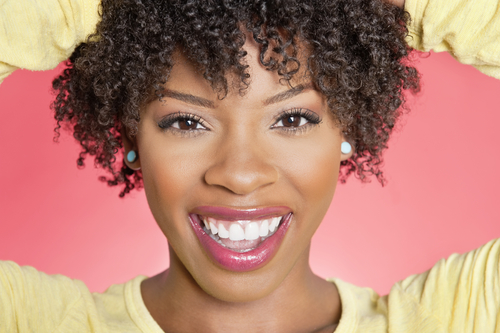 We offer cosmetic and restorative dental crowns that will help your teeth seem like new. You can make an appointment with us by phone or online. We’re happy to answer any questions you may have about our services, our appointment times, or about dental crowns.